Most of the web surfers and smartphone users might have heard about CloudFlare 1.1.1.1 DNS. It is said to be faster than (according to CloudFlare) the popular OpenDNS and Google Public DNS. Cloudflare is mainly focusing on the privacy, so you can ensure a more secure web surfing. Setting up CloudFlare 1.1.1.1 DNS is simple. Here is how it is for newbie. CloudFlare DNS can be used as an alternative to your current ISP’s DNS for faster and secure web surfing. There are several reasons for slow internet connections. Sometimes slow DNS server of your ISP’s cause trouble to you. In that case, by changing the DNS server may resolve your problem. Cloudflare DNS uses 1.1.1.1 and 1.0.0.1 for IPv4 and 2606:4700:4700::1111 and 2606:4700:4700::1001 for IPv6 connections. If you wish to switch from your default ISP DNS to Cloudflare DNS, then here is how it is for your computer and smartphone. The simplest way to surf through CloudFlare DNS on all platforms (computer and mobile), is changing it in your router. To do that, login your Router settings using your router’s gateway IP address (for example, 192.168.1.1). After login, click on DNS and click ‘Set DNS manually’. Change the value for Pv4 to 1.1.1.1 (DNS 1) and 1.0.0.1 (DNS 2). For IPv6, change the value to 2606:4700:4700::1111 (DNS 1) and 2606:4700:4700::1001 (DNS 2). To use Cloudflare DNS on Android, go to Wi-Fi settings and long tap on the connected network. Select Modify network, tap on Advanced options and change IP settings to Static. Scroll down and type 1.1.1.1 in DNS 1 and 1.0.0.1 in DNS 2 tab. Tap Save. To add Cloudflare DNS on iPhone & iPad, go Wi-Fi settings and tap on the preferred Wi-Fi network. Tap on Configure DNS and select Manual.Under DNS Servers, delete any existing entries if any by tapping the red minus button and then tap on Add Server. Type 1.1.1.1. Once again, tap on Add Server and type 1.0.0.1. That’s it. 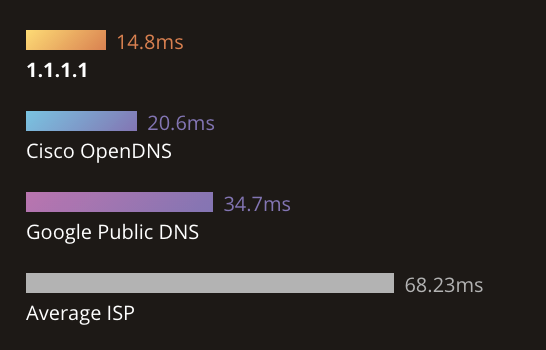 Now, how to find out which DNS service is fastest for you? Here is a free benchmarking tool to determine the performance of local and remote DNS nameservers. There are several web based proxy servers available to surf the internet anonymously or as from another country. The Firefox add-on (Firefox 3 – 4) Phzilla helps you view a webpage or surf the internet using the PHProxy (a type of web based proxy server) proxy servers. It is very easy and convenient to use. Some malware can hide full capacity of your USB flash drive. For example, a 4GB pen drive sometimes shows only 500kb or less. An interesting part of this situation is that, even after removing the malware or formatting the USB flash drive, you will not get back its original capacity. Therefore, the question here is how to restore a USB flash drive to its full capacity. You may still remember my previous post aboutSpam Fighter which helps you fight against spam emails, here is another most efficient, FREE product from Agnitum - Spam Terrier that also effectively protects you from unnecessary emails and malicious contents. If you are an active e-mail user, you should have encountered the problem of unsolicited mass e-mail distribution, known as spam. Even though server-side (run by your Internet Service Provider) anti-spam solutions significantly reduce spam, users have no control over it. The worse thing about it is that your important messages lose because of incorrectly labeled as spam.The computer security experts at Agnitum unleashed Spam Terrier 2.0 for users of Microsoft Outlook, Outlook Express, Windows Mail (in Vista) and The Bat which provides self-learning protection against unwanted emails (known as spam).